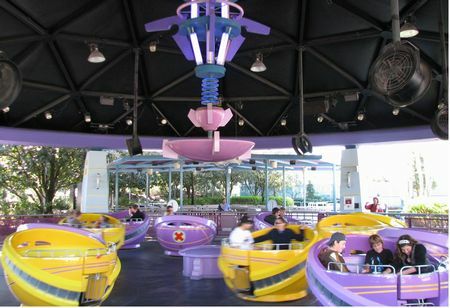 Storm Force Accelatron is a carnival spinner in Marvel Super Hero Island at Universal's Islands of Adventure. Readers say... skip it. You can control how fast you spin...that was pretty cool! Kids loved it when you can get an adult in the car spinning it really fast.